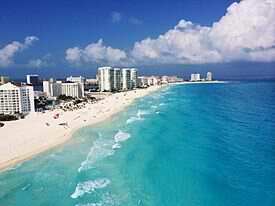 Cancun, situated on the Yucatan Peninsula, is one of the most popular tourist resort destinations in Mexico. 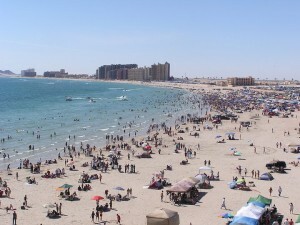 The fantastic weather the area experiences was the reason for the decision by the Mexican government to develop the region during 1970. It has since become the largest resort area within Mexico and around three million visitors are attracted to the area annually. Cancun is split into two distinct sections. The first is the downtown area, which is typically Mexican, with most of the residents reside. This area is comprised of restaurants, well-priced hotels and market. However, it is very different to the main tourist region, Cancun Island, which is often referred to as the hotel zone. The hotel zone is situated on a sandbar in a 7-shape, which is 15 miles long. It is off the mainland and is linked by causeways on the ends. A single road, named Kukulkan Boulevard, runs the entire length of this zone. The infrastructure in this zone has been focused on tourists. The main activity in this region is the enjoyment of its beautiful beach areas. You can choose to laze around on the beach, sipping exotic drinks, or you can participate in the wide range of water sport activities that are available, such as snorkeling, scuba diving, windsurfing and parasailing. Apart from enjoying the beach, you can also gain some knowledge about the Mayans while you are on holiday. There is a Mayan Museum, as well as the San Miguelito archaeological site, which can both be found within the hotel zone. There are shopping facilities for those who are looking for something different and if you are looking for something really authentic and special, pay a visit to the gift stores and handcraft markets. It is a good idea to allow for day trips when you plan your holiday to Cancun as this is an extremely interesting region. If you intend doing a bit of traveling within the region and go on a few day trips, you should make sure that you obtain Mexican auto insurance before you head off. In the event that you are going to drive to Cancun, you should obtain your Mexican auto insurance prior to leaving home. It can be purchased online or at the border, but the online method offers you more options and no standing in line. You can purchase your Mexican auto insurance at this URL. Many people opt for the cheapest choice of Mexican auto insurance and this is not always the best decision. You have to consider that you are not accustomed to using the roads in Mexico, hence you are at greater risk of being involved in an accident. If you do not have adequate cover, you may find that you will spend some time in a jail cell. In Mexico, you are guilty until proven innocent. If you do not have adequate insurance cover, you will have to prove to the authorities that you have sufficient funds to cover the damage caused to others. It is also a good idea to add legal assistance to your policy in the event that this happens to you. With your Mexican auto insurance policy in hand, you can enjoy the tropical climate in Cancun. The weather in this area is great for the beach, but it can become cooler at night during the winter. The last time we had a family reunion was in Baja Norte. We made a caravan trip from San Diego to Tijuana and later on down South to Ensenada. We bargained for a great insurance deal for our caravan from Mexican Insurance Store. It was such a wonder family reunion. I look forward to another reunion this year. It is popular to eat foods from carts while in Baja Norte. However, from my experience, mobile carts are not the safest to buy food from as they tend to be less accountable. While you may take great care about the foods you eat while out there, that may not be sufficient to cover you against major risks. To be on the safe side, buy a good Mexican insurance policy. As a Canadian like me, keeping in touch with your loved ones back while you are on holiday overseas is of utmost necessity. While in Mexico, you need not worry so much as most urban areas are easily accessible to WiFi. You can use this WiFi for Facebook, Twitter, Skype and even renewing your Mexican auto insurance for Canadians online. Pemex is the most popular and widely distributed gas pumping station in Mexico. You can easily get a fuel card with Pemex just in case you run out of cash or you can hardly exchange your dollars into local currency. Having online Mexican auto insurance cover is the best way to extend your cover just in case you find the need to. If you have an expensive camera and other valuables, don’t be tempted to leave them in your car unattended. Better still, do take a full Mexican insurance policy that covers your vehicle. Is it only Mexican insurance that I need when trying to visit Cancun? Can someone tell me what best policy can I get from Mex Insurance Store? I have an American Card Express and I’ll be off to Cancun soon. What is the best place to find a rent-a-car close to Cancun Mexico? Our plan is to rent a unit for our next vacation. Of course, I bring with me my Mexico insurance so I have it all the time. Safely and confidently, this insurance has been helpful to me. 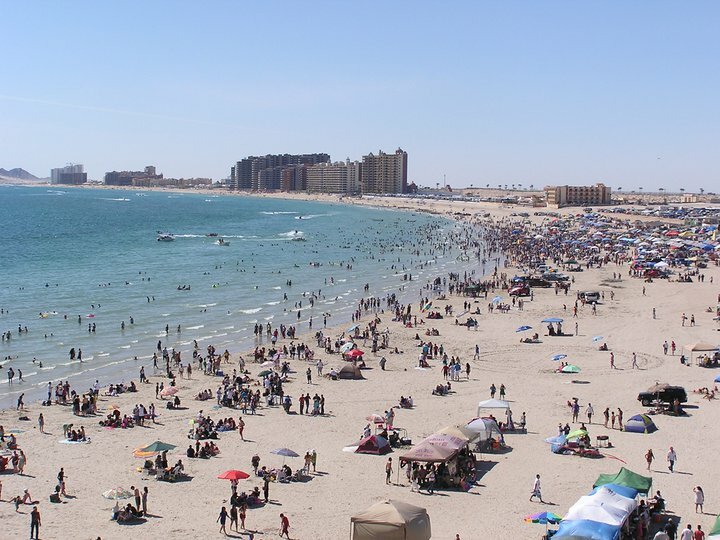 Rocky Point area is not just a resort but also a cool shopping venue. The markets and craft fairs are close to the beach. True, but Cancun is not anywhere near Rocky Point. Either way, you need Mexican insurance in order to drive legally. One thing you should understand before entering Mexico: you need car insurance – particularly Mexican auto insurance; otherwise, forget about Mexico. It’s better to get some practical tips for travelling to Mexico. Get some guidance and driving protocols primarily from your car insurance provider.